This is our new EXxtreme Console safe was designed to fit the 2014 to 2018 Toyota Tundra using true 12 gauge domestic steel. The door is skeletonized and the a 10 gauge plate is welded to the door to strengthen it and cover the gaps on the sides and front od the door. 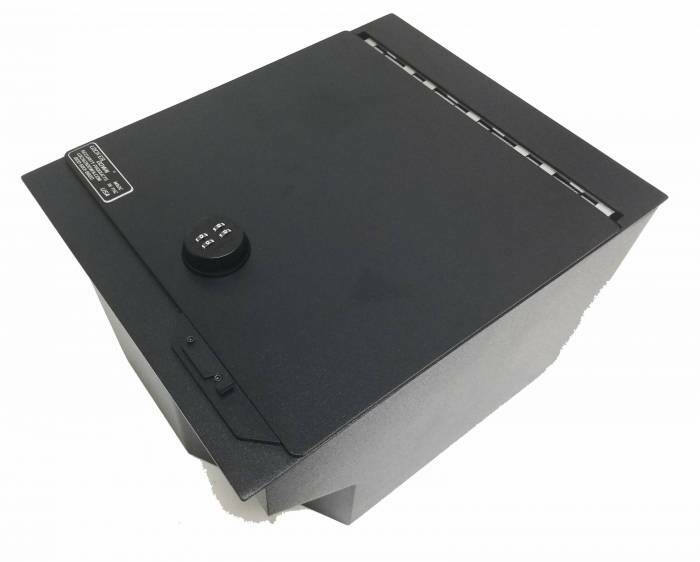 The Tundra safe has a 12 volt power receptacle inside and this safe has a cutout to allow access. Made in Texas by Texans. This model is available with several lock options, please choose before adding to cart. I bought a console safe for my 2018 Tundra and one for my fiancé's 2016 4 Runner. The install was simple and the fit was perfect. We both have had firearms stolen from our vehicles. The next time will be a surprise for whomever tries. Also superior customer service and military discount.